Tsukasa: This mafia demon was really cool. He lived in the shadows and went other ways than the usuals. This really shaped me. Do you have any hobbies or do sports? Karyu: We play videogames at the weekend. Tsukasa: Currently no sports anymore, but I paint from time to time. Oh, how do your pictures look? Tsukasa: I paint a variety of pictures, from fairytales to girls – everything. For me it's important that the inner mentality comes through, scenic if possible. That's very typical for my pictures. Was it your childhood dream to be a musician or did you have other visions? Tsukasa: At first I wanted to be a singer when I was little. I wanted to sing Japanese, but not pop songs. [T/N: He said „Schlager music“] More likely folklore with pop elements. Could you imagine to move out of Japan? 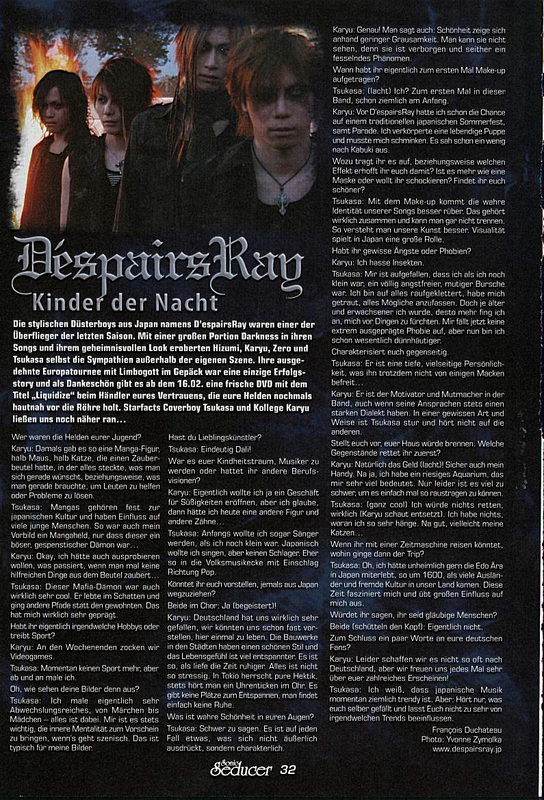 Karyu: We really liked Germany, we could nearly imagine to live here. The architecture in the cities have a very nice style and the attitude towards life is more relaxed. It's like as if the time runs slower. Everything's not as stressful as in Tokyo. Everytime you hear a ticking noise in your ear. There are no places to relax, you won't find peace. What is true beauty in your eyes? Tsukasa: Hard to tell. It is something what you can't see on the outside, but rather in character. Karyu: Exactly! One says: beauty shows based on less cruelty. You can't see it because it's hidden and a fascinating phenomenon since then. When did you put make-up on for the first time? Tsukasa: (laughs) Me? In this band, pretty at the beginning. 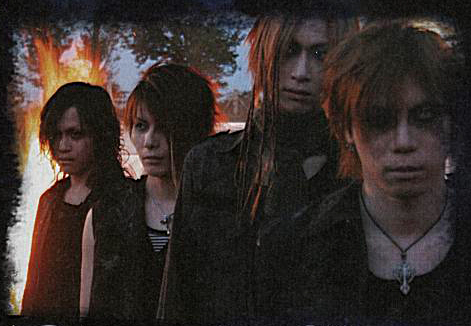 Karyu: Before D'espairsRay I already had the chance on a traditional japanese summer festival, including parade. I was a human puppet and had to put on make-up. It looked a little bit like kabuki. Why do you wear it and which effect do you hope for? Is it more like a mask or do you want to shock? Do you find yourselves more beautiful [with it]? Tsukasa: The true identity of our songs conveys better with make-up. They belong together and you can't seperate them. That how you understand our art better. Visuality plays a main role in Japan. Do you have certain fears or phobias? Tsukasa: I noticed, when I was a child I was a fearless, brave boy. I climbed on everything, I dared to touch anything. But the older I got the more I started to get afraid of things. I don't know a extremly pronounced phobia, but I'm more thin-skinned nowadays. 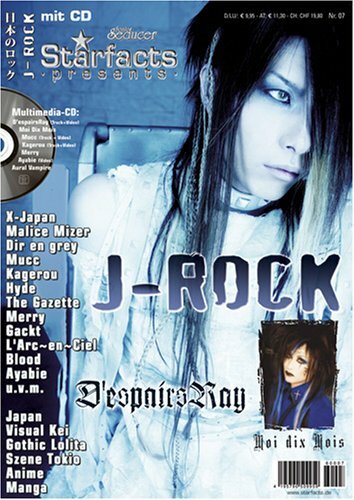 Karyu: He's a motivator and the „courage maker“ in the band, even though his speeches have always a strong dialect. In a certain sense Tsukasa is stubborn and doesn't listen to others. Imagine your house would burn. Which things do you save first? Karyu: Of course the money (laughs)! Surely my mobile phone either. Nah, I have a big aquarium which means much to me. But unfortunately it's too heavy to easily carry it outside. If you could travel with a time machine, where's your trip going? Tsukasa: Oh, I would've witnessed the Edo era around 1600 in Japan very much when many foreigners and different cultures came into the country. This time fascinates me and influences me. Would you say you are religious? Both (shaking their heads): Actually not. At the end any words to your German fans? Tsukasa: I know that Japanese music is currently very popular. But, just listen to whatever you like and don't get too influenced by trends.